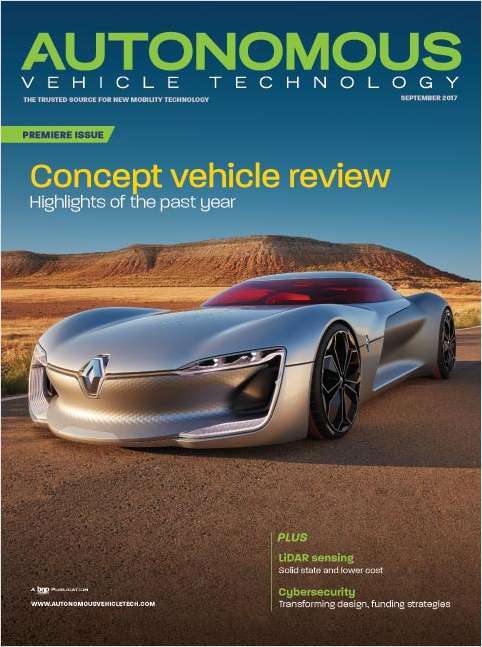 Free Magazine Subscription: "Autonomous Vehicle Technology"
The trusted source for vehicle automation, connectivity, electrification, and mobility services. Do you wish to receive a FREE subscription to Autonomous Vehicle Technology? How would you like to receive your copy of Autonomous Vehicle Technology? What is your degree of involvement in autonomous/automated vehicle technology? Would you like to receive the AVT eNewsletter for FREE?